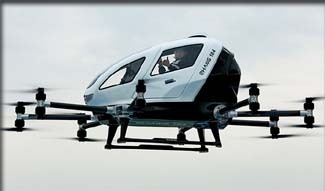 Chinese Firm Show Passenger Drone - Last Month the Chinese company Ehang demonstrated a passenger carrying drone taxi. The company claims their model 184 is the world's first passenger drone capable of reaching speeds of more than 80 mph. Unlike a traditional helicopter, the drone runs on electric motors similar to the toy quad drones that have become popular with consumers. The video released by the company shows passengers climbing into the drone and heading off to their destination by pressing a button. According the company they have completed 40 test flights with a drone prototype since 2015 and it can fly as high as a 1,000 feet and handle storm winds as well as low visibility. A number of companies are competing to enter this market including giants like Boeing. Deadly Spiders Closer Than Previously Thought - Two groups of highly venomous spiders might be seeing more of each other at family reunions. A new study led by San Diego State University biologist Marshal Hedin has found that two lineages of dangerous arachnids found in Australia--long classified as distantly related in the official taxonomy--are, in fact, relatively close evolutionary cousins. The findings could help in the development of novel antivenoms, as well as point to new forms of insecticides. The spiders in question are those from the families Atracinae and Actinopodidae and include Australian funnel-web spiders and eastern Australian mouse spiders, respectively. One member of Atracinae, Atrax robustus, is considered by many to be the most venomous spider in the world. "A reasonable number of people get bitten every year, but basically nobody dies from it anymore because of the wide availability of antivenom," Hedin said. Historically, the spiders were thought to have diverged from a common ancestor more than 200 million years ago and therefore were only distantly related. Based on their anatomy and other traits, funnel-web spiders and mouse spiders closely resemble other species of spiders known to be distantly related. Yet based on their highly similar venom--the same antivenom can treat bites from both Atricinae and Actinopodidae--many biologists suspected these spider groups might be more closely related than previously thought. Researchers Successfully Reverse Alzheimer's Disease in Mouse Model - A team of researchers from the Cleveland Clinic Lerner Research Institute have found that gradually depleting an enzyme called BACE1 completely reverses the formation of amyloid plaques in the brains of mice with Alzheimer's disease, thereby improving the animals' cognitive function. One of the earliest events in Alzheimer's disease is an abnormal buildup of beta-amyloid peptide, which can form large, amyloid plaques in the brain and disrupt the function of neuronal synapses. Also known as beta-secretase, BACE1 helps produce beta-amyloid peptide by cleaving amyloid precursor protein (APP). Drugs that inhibit BACE1 are therefore being developed as potential Alzheimer's disease treatments but, because BACE1 controls many important processes by cleaving proteins other than APP, these drugs could have serious side effects. Mice completely lacking BACE1 suffer severe neurodevelopmental defects. To investigate whether inhibiting BACE1 in adults might be less harmful, Riqiang Yan and colleagues generated mice that gradually lose this enzyme as they grow older. These mice developed normally and appeared to remain perfectly healthy over time. The study, which was published February 14 in the Journal of Experimental Medicine, raises hopes that drugs targeting this enzyme will be able to successfully treat Alzheimer's disease in humans. Stanford scientists eavesdrop on volcanic rumblings to forecast eruptions - A new study has shown that monitoring inaudible low frequencies called infrasound produced by a type of active volcano could improve the forecasting of significant, potentially deadly eruptions. Scientists from Stanford and Boise State University analyzed the infrasound detected by monitoring stations on the slopes of the Villarrica volcano in southern Chile, one of the most active volcanoes in the world. The distinctive sound emanates from the roiling of a lava lake inside a crater at the volcano's peak and changes depending on the volcano's activity. The study demonstrated how changes in this sound signaled a sudden rise in the lake level, along with rapid up-and-down motions of the surging lake near the crater's rim just ahead of a major eruption in 2015. Tracking infrasound in real time and integrating it with other data, such as seismic readings and gas emission, might help alert nearby residents and tourists that a volcano is about to blow its stack, the researchers said. "Our results point to how infrasound could aid in forecasting volcanic eruptions," said study co-author Leighton Watson, a graduate student in the lab of Eric Dunham, an associate professor in the Department of Geophysics of the Stanford School of Earth, Energy & Environmental Sciences and also a co-author. "Infrasound is potentially a key piece of information available to volcanologists to gauge the likelihood of an eruption hours or days ahead." Hubble Sees Neptune's Mysterious Shrinking Storm - Three billion miles away on the farthest known major planet in our solar system, an ominous, dark storm - once big enough to stretch across the Atlantic Ocean from Boston to Portugal - is shrinking out of existence as seen in pictures of Neptune taken by NASA's Hubble Space Telescope. Immense dark storms on Neptune were first discovered in the late 1980s by NASA's Voyager 2 spacecraft. Since then, only Hubble has had the sharpness in blue light to track these elusive features that have played a game of peek-a-boo over the years. Hubble found two dark storms that appeared in the mid-1990s and then vanished. This latest storm was first seen in 2015, but is now shrinking. Like Jupiter's Great Red Spot (GRS), the storm swirls in an anti-cyclonic direction and is dredging up material from deep inside the ice giant planet's atmosphere. The elusive feature gives astronomers a unique opportunity to study Neptune's deep winds, which can't be directly measured. The dark spot material may be hydrogen sulfide, with the pungent smell of rotten eggs. 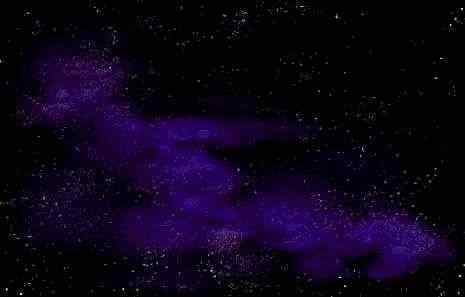 Joshua Tollefson from the University of California at Berkeley explained, "The particles themselves are still highly reflective; they are just slightly darker than the particles in the surrounding atmosphere." Mysterious Picture of the Month - What is this? In reviewing the literature on this subject I see no credible theories that connect the expansion of the universe, as we know it, to the speed of light. Usually when we talk about the "expansion of the universe" we are referring to the way things in the universe get farther away from each other over the course of time. This started with the "Big Bang" and continues today. Recently this speed was measured to be about 71 (km/s)/megaparsec. That means that if two objects in the universe are a megaparsec apart (3261.5 light years) they will be moving away from each other at 71 kilometers a second. This speed is well below that of light so there doesn't seem to be a direct connection. In addition, the effect is additive so that at great distances - billions of megaparsecs apart - two objects can actually be moving away from each other at more that the speed of light. This would seem to defy Einstein's Theory, but remember that the movement of these objects is because they are just being carried along by the expansion of space, not because the objects themselves have been accelerated. There is also recent evidence that the rate that the universe is expanding is increasing for some unknown reason. This is also unlike that speed of light which almost all scientists believe is a constant. Even the few people that suggest light speed may not be a constant speculate that it is slowing down, not speeding up. Some future theory may find a connection between the speed of light and the expansion of the universe, but it is not obvious at point in time. Still, we do not know everything about the universe - in fact we do not even know what we don't know - so there is always the possibility of new discovery over the horizon that would change everything. Have a question? Click here to send it to us. Cell Phone Birthday -On April 3rd of 1973 inventor Martin Cooper placed the first cellular phone call from a prototype which was 10 inches in height, 3 inches deep and an inch-and-a-half wide and weighed almost 2 pounds. The phone replaced the mobile car phone which weighed 30 pounds and filled quite a bit of the owner's car trunk. The descendants of Cooper's phone way are in the millions and used around the world. Line in the Sky - Early March you will be able to watch a planetary alignment dominate the southeastern sky at dawn, as Saturn, Mars, and Jupiter will seem to create a line in the sky. Starting on March 7, the waning gibbous moon will appear to pay visits to each one of the planets in the line up. Catch Nessie and Win Big - If you think you can catch a monster you have till until June 30, 2018, to collect a huge $70,000 bounty for convincing evidence of the world's most talked about cryptids. The award was put up by games developer Capcom to highlight the release of "Monster Hunter: World." Capcom thinks interest in real-world monsters could lead to exciting new discoveries (and lots of sales of games). The company is partnering with Jon Downes, director of The Centre for Fortean Zoology for this contest. Zeep and Meep are on a well deserved vacation. In their place we feature highlights from their past adventures. Copyright Lee Krystek 2018. All Rights Reserved.